Professor Shuhong Chai is the Principal of the Australian Maritime College. Professor Chai is an internationally recognised researcher with academic and industry experience. After completing a Masters Degree in Naval Architecture at the Dalian University of Technology in China, she became an academic and facility manager of the Ship Model Towing Tank, before moving to Scotland in 2000. In 2006 she obtained her doctoral degree from Universities of Strathclyde and Glasgow. She was then a senior hydrodynamics consultant and project manager with Oceanic Consulting Corporation in Canada, which was then one of the world’s leading marine performance evaluation organisations. In 2008, Dr Chai joined AMC as a Senior Lecturer. She has since undertaken senior administrative roles including Director of the National Centre for Maritime Engineering and Hydrodynamics, and Associate Dean-Learning and Teaching for the AMC. Shuhong has taught at undergraduate and postgraduate levels. She has been Course Coordinator of Ocean Engineering program. Shuhong's research aligns to the University's research theme of Marine, Antarctic and Maritime. Her research interests include various areas: Hydrodynamics of Offshore Structures, Fluid-Structure Interaction, Deep water Marine Risers, Mooring lines, and Subsea Pipelines, Wave Mechanics, Coastal Engineering, Near shore Hydrodynamics. She is also research very actively in subsea and underwater technology field. She is the Deputy Theme Leader for Theme 4: Marine Technology and Polar Environment of The Antarctic Gateway Partnership, which is a Special Research Initiative funded by the Australian Research Council. She is also recently appointed as the specialist member of Committee of Subsea Technology of International Ship and Offshore Structures Congress (ISSC) from 2015 to 2018. She has been a specialist member of Committee of Risers and Pipelines of ISSC from 2012 to 2015. The ISSC is the peak international body for the exchange of information by experts undertaking and applying marine structural and hydrodynamic research. Shuhong is currently involved in an international research collaboration project that is primarily aimed at gaining better understanding of gap resonance during the side by side offloading between floating liquefied natural gas (LNG) platform and shuttle LNG tank. This collaborative project involves the University of Western Australia and Shanghai Jiao Tong University, China. 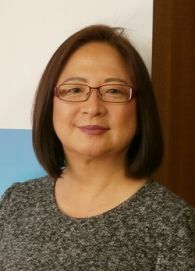 Shuhong is the Deputy Theme Leader of Theme 4: Marine Technology and Polar Environment of The Antarctic Gateway Partnership, which is a Special Research Initiative funded by the Australian Research Council. Shuhong has published seven A1 journal papers and more than 18 F1 peer-reviewed conference papers (16 listed on Scopus). One of the journals is Ocean Engineering (5-year Impact Factor of 1.731) and two leading offshore engineering conferences: International Conference on Ocean, Offshore and Arctic Engineering (OMAE) and International Society of Ocean and Polar Engineering Conference. Shuhong is also on the editorial board of the Journal of Ocean Engineering (Elsevier), Journal of Ocean Technology (Canada) and Journal of Naval Architecture and Ocean Engineering (China). Shuhong has been a session organizer and chair/co-chair for OMAE in the past few years. In 2014, Shuhong completed the project 'Tracer Analysis of Sediment Redistribution of Tamar Estuary'. This project was funded externally for $155k by the Launceston Flood Authority, investigating the environmental impact of seasonal raking, which helped determine the impact by tracing the particles once raked to discover where they settled. The project provided important information for decision making. Shuhong is co-supervising one PhD candidate. His 50% scholarship ($47,800) is funded by industry partner INTECSEA through research collaboration. Shuhong is currently leading one CAT1 project of $324,000 from the Office for Learning and Teaching: Engineering Pathways for Regional Australia: Viable Platforms Built by Knowledge Partnering; and an internal project of $47,000 funded by University Tasmania Regional Development Incentives Grant Scheme 2014: Engineering Online Resources Development. The research will be performed in collaboration with industry, in particular Intecsea, an offshore oil and gas company specializing in innovative front end engineering design in fields of metocean analysis and floating systems, riser and mooring systems and subsea engineering. The currently published research within the RBA filed is very limited and the work proposed will contribute to fields of interest to the offshore industry. Development of the probabilistic analysis methods for the complete floating system, including its dynamic risers, is important for the offshore industry, especially for fields in deep water and with harsh environment. Establishing consistent probabilistic methods for the analysis of the hull, moorings and the risers will enable the design process to be streamlined and will contribute to improved safety and efficiency of the floating production systems. One of the key subthemes of the Australian Maritime Colleges (AMC) 2014-2018 strategic plan is the development of underwater vehicles for use in the marine and Antarctic science research fields. AMC is committed to the development of an Underwater Autonomous Mapping facility. The long-term vision is to create a multi-use facility developing various robotic platforms to create solutions for specific scientific and engineering questions in coastal to ice-covered waters. One of the key current deficiencies within this research and training program is a long-term lab manager employed to help with the strategic management of the AUV facility. This proposal calls for the creation of an ongoing appointment at AMC with the specialized skillset required for research and student training. This role is critical in order to maintain and develop a research program unique in Australia and a world leader in the AUV domain. The objective of this proposed study is to understand patterns of sediment redistribution in the hydrodynamically complex Tamar Estuary resulting from sediment management activities known as raking and to provide modelling validation data on the net (up estuary or down estuary) migration of silt in the upper estuary. 100% of the funding was towards the research component. What is the research question that is being asked in this activity? Assess the redistribution of sediments resulting from sediment raking in the upper Tamar River estuary. Provide a statement on the research contribution to innovation and new knowledge in the area: Acquisition and analysis of sediment and water samples to provide a baseline from which decisions can be made on how to proceed with the sediment raking program and removal of sil from the upper Tamar River estuary. This project will collaborate with partners to develop a new learning platform for engineering students. A series of experimental tests will be carried out to investigate the loads and motion response of a scaled model Mid Water Arch system in a different current speeds and different flow directions. The project will determine the loads on MW A and motion response in various current speeds. Innovation is in developing knowledge of hydrodynamic properties of Mid Water Arch system for deep water oil and gas exploration.